Lezly, Oh What a life! The Central Park Dance Skaters mourn the loss of our friend, long term president and Skate Guru, Lezly Ziering. His career as a professional dancer took him around the world, onto Broadway and into the movies. At the memorial held in Lezly’s honor, his nephew, Fred, told us that Lezly’s straitlaced, no nonsense father once told him: “You can’t dance your way through life.” Lezly spent his life proving him wrong. At Sixteen Lezly taught Latin dance at the Fred Astaire studio. At seventeen, In Camaguey, in pre-Castro Cuba, at the Festival of San Juan, Lezly picked a partner from the crowd an entered a Marathon Mambo contest. At 4:00 AM, after many hours of dancing, Lezly – the kid from New York – and his partner were declared the winners.Then, Lezly began studying dance in earnest. His teachers over the years included an impressive variety of dance luminaries including Martha Graham, Charles Weidman, Doris Humphrey, Anna Sokolow and Donald McKayle for modern dance; Jazz with Matt Mattox, Luigi and Bob Fosse, ballet with Jean Yazvinski, Andre Eglevsky and in Paris with Mr. Ponti, ethnic dance with Asadata Dafora, Jean Léon Destiné, Geoffrey Holder, Hadassah and Shivaram. 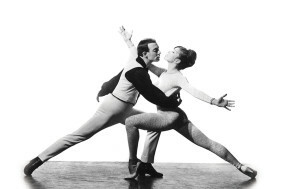 Lezly’s early performance career took him from NYC and Jacob’s Pillow to Carnival Aquantico in the Dominican Republic, where he danced as soloist and assistant choreographer. From there he moved on to San Juan, Puerto Rico as choreographer and featured dancer in night clubs and on TV. Lezly and Simone Benthien, his dance partner for 12 years, performed internationally on stage, TV, nightclubs and cruise ships. Lezly directed, staged and choreographed for repertory theater, stage personalities and night club performers. As an actor he appeared Off Broadway in “Hands of God”, “Che Guevara”, “Terrible Angels and in TV and radio commercials. Lezly also appeared in the Warner Brother’s Picture: “Marjorie Morningstar” with Gene Kelly and Natalie Wood and danced in “L’il Abner” and “Kismet. 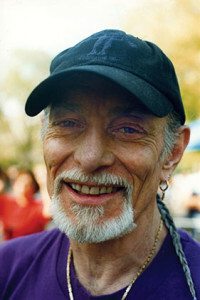 In 1970 he established the Lezly Dance School in New York City which offered instruction in a wide range of techniques: Ballet, Jazz, Modern, African, Haitian, Brazilian, Flamenco, Tap, Hip Hop, Latin, Disco, Ballroom Martial Arts. 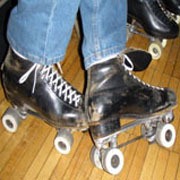 In 1979 Lezly became avidly involved in roller skating and added this new love to the curriculum, creating the Lezly Dance and Skate School which offered instruction in roller skating and roller dance. This came at the dawn of the Disco and Roller Disco era; Lezly and his students contributed to the level of expertise among those early Roller Disco enthusiasts. 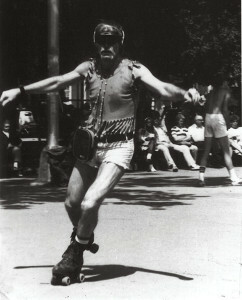 Lezly was a founder, Chairman and President of the Central Park Dance Skaters Association, known worldwide as one of Central Park’s most vital attractions. 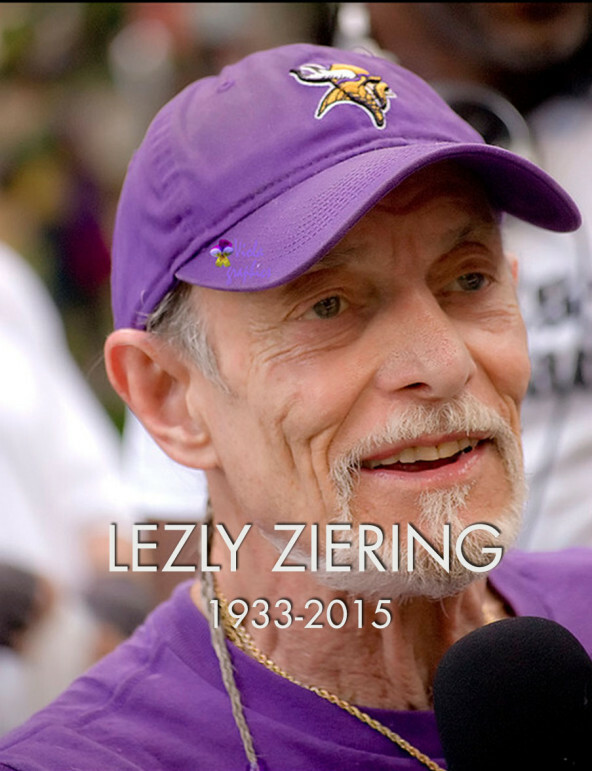 Above all, Lezly was a man who loved and was loved by all. Ethnicity, gender or religion were not barriers to him. A true New Yorker, he saw his fellow humans in all their diversity as one great tapestry of humanity. They were people to respect, to learn from, to teach and to entertain. Lezly was a wonderful friend, a thoughtful and gentle mentor, a passionate dancer and skater. Mr Skate Guru, you will be missed. I first met Lezly in 1980 at the Metropolis roller rink on West 55th Street in Manhattan; one of his students introduced us. Lezly was a revered teacher and I loved roller skating; that was what we had in common. We slowly got to know one another and became friends. I would sometimes ride with him and some of his other friends to rinks around the metropolitan area, Empire Rollerdrome in Brooklyn, Laces in New Hyde Park, United Skates Of America in Seaford, Skate Key, in the Bronx, both the original and the second Skate Key. We also went to Branchbrook Park and Montvale rink in New Jersey. Not only did he skate at all the rinks, but they knew him and comped him in. That was pretty impressive. Over the years, I learned about Lezly’s amazing career as a dancer. 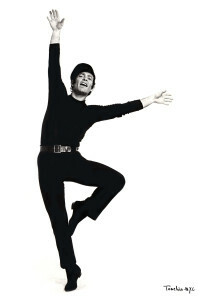 A career that took him around the world, onto Broadway and in the movies as a performer and later as a teacherrted wearing out after years of punishment, dancing, skiing and skating. A hip replacement, two knee replacements, three separate spinal surgeries and other operations, finally took their toll of dance and roller skating. 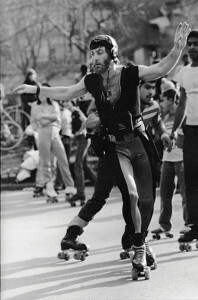 In 1995 when mayor Guiliani tried to throw us out of Central Park, the skating community banded together to keep our place there. Lezly was the one who pulled us together and inspired us to keep up the struggle until we had won our right to keep the Skate Circle rolling. When every skating rink in New York City closed, Lezly opened the Crazy Legs Skate Club in Bed-Stuy, Brooklyn, and gave us an indoor place to skate year round. We owe him a great debt of gratitude for keeping skating alive in New York. Repeated accidents and falls forced him to put his skates aside. He was devastated by the prospect of never being able to skate again. His vision dimmed so much that he was essentially blind. He couldn’t raise his arms above his waist and finally he lost almost all use of his arms. His active life grew more and more sedentary until he was confined to a hospital bed and his life narrowed to a small group of friends visiting him and Robbin in their living room. His decline happened quickly and yet in slow motion until finally he was gone. I like to believe that there is a celestial skating rink in the sky and that tonight, a Wednesday, Roxy skate night will find him there. The many skaters who have left us, Don, John, Mark, Stu, Ray, Renton, Roberta, Eric, Marlene, Charlie, Quincy, Randy, Paul, Kenny and all the others who preceded him there, will welcome him with a round of applause. His old friend Roxy DJ Julio will start the music and Lezly will finally get his wish and will skate again.